Unfortunately, the world doesn’t run on a nine-to-five schedule. Your customers may need to reach you after your business has closed down for the day. They can leave a voicemail or send an e-mail and you can get back to them in the morning, or you can hire telephone answering services in Ottawa to handle their request right then and there. Though you may have the best intentions in mind and make every effort to return your customer’s phone calls and e-mails, a 24-hour answering service is an alternative for many business owners who wish to best serve their customers without overextending their efforts. Telephone answering services in Ottawa can help you to connect with your clients even after you’ve gone home for the day. Spending hours each morning answering voicemails and e-mails can cut into other aspects of your business. Phone answering services will take care of this task and allow you to focus on the more important parts of your business. Do you just need someone to answer incoming calls? Then basic call handling services are your best option. Perhaps you’re looking for something a bit more involved. In that case, an advanced telephone answering service may be for you. This can include scheduling appointments, fielding requests for information about your products and services, and providing customized responses for your customers and clients. Telephone answering services in Ottawa can be customized to meet your organization’s specific needs. You may only require a service for phone answering in Mississauga and the GTA for a few hours after your business has closed for the evening. Conversely, you may need an extensive 24-hour phone answering service. A provider can determine your needs and create a solution that is best suited to your business and your budget. If you’re a small- or medium-sized business or startup, you may not be able to afford a receptionist. You also can’t spend every moment answering phone calls. Phone answering services can take this task off your hands by providing a receptionist who is friendly and professional. They can also direct the call accordingly within your organization. This also frees up your staff to focus on other parts of your business instead of answering every call that comes in. 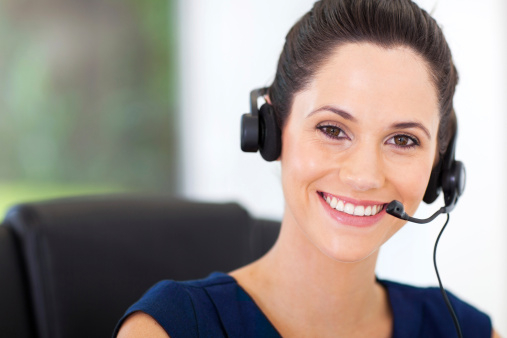 Additionally, call handling services can take care of scheduling appointments, interviews, and meetings with clients. It’s like having a receptionist at a fraction of the cost! Using professional telephone answering services in Ottawa and the surrounding regions gives the appearance that your business is larger than it is. Even if it’s just you running your organization or you’re a small business with 50 or fewer employees, a phone answering service will give you the competitive edge you need to succeed. Perhaps the most important reason to look into answering services is that you won’t miss any more important calls. The service can let you know about any important calls that came in after hours or direct the calls wherever they’re needed. As the leading phone answering service in Ottawa, Mississauga, and the GTA, Innovative Professional Offices provides an affordable and effective phone answering service. The receptionists at our business centres will handle your calls in an efficient and professional manner, freeing up your resources to focus on the important day-to-day running of your business. Contact us today to find out more about our services.